In 2018, women made up a mere five percent of Fortune 500 CEOs. So in light of Women’s History Month, we’re paying homage to the visionary and pioneering female entrepreneurs working to change that – these women are at the forefront of leveling the playing field for women in business. Want to show your support? Here are 14 female-owned companies we love. L. is your go-to for personal care products free of pesticides, fragrances, and dyes. Talia Frenkel, a Red Cross and U.N. photojournalist, founded L. in an effort to address the worldwide women’s rights crises. How? To simply give back, whether that’s sending period products to a homeless woman in the midwest or facilitating the production of reusable pads for school girls in Nepal. Today, more than 250 million personal care products have been provided to women in need. Dedicated to eco-friendly household and beauty products, The Honest Company holds true to its name. Actress-turned-CEO Jessica Alba founded the company in 2012 because she wanted products that were both safe and effective. The Honest Company offers products you can trust including diapers, cleaning supplies, lotions, diapers wipes, and vitamins while providing customers with helpful, transparent information about those products. With just 5,000 in her savings account, Sara Blakely set out to launch Spanx when she realized she didn’t have the right undergarment to wear under white pants. Now worth more than 1 billion dollars, Blakely empowers other women through the Sara Blakely Foundation and has become the first self-made female billionaire to sign the Melinda and Bill Gates’ and Warren Buffett’s Giving Pledge, promising to donate half of her fortune to philanthropic causes. 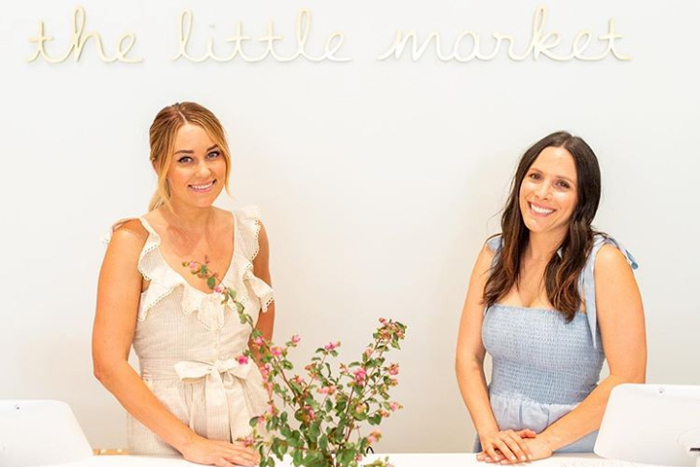 Co-founders Lauren Conrad and Hannah Skvarla created The Little Market, a nonprofit fair trade shop, to provide artisans around the world with fair and livable wages. Shoppers can find everyday items like towels, handbags, candles, journals, blankets, glassware, utensils, and more. S’well founder Sarah Kauss launched the reusable water bottle brand in her New York apartment after learning about the 200 billion plastic bottles that end up in landfills each year. Now, S’well is one of the fastest growing woman-owned companies, partnering with reputable charities around the world, such as UNICEF. Kit Crawford co-founded the beloved CLIF Bar with her husband Gary Erickson in an effort to create a wholesome, nutritious, and tasty energy bar. The company’s foundational principles still hold true today: organic ingredients, sustainable farming prices, and healthy living. Kim Jordan, co-founder and executive chair of the New Belgium Brewing Company, took an unconventional step in the business world when she sold her stakes to her employees. Today, it stands as one of the largest and most sustainable breweries in America! Elizabeth Suzann had one mission: to create high-quality, fashion-forward clothing. Her self-named line does just that while remaining transparent with consumers. Suzann has proved that sustainable and ethical processes are totally worth the cost. In response to the major problem in the food being served at schools, co-founders Kristin Richmond and Kirsten Tobey created Revolution Foods, which offers a variety of individual meals, family-style meals, and food service products. So not only will your kids eat healthy, but you will too! The lack of women in the engineering field motivated Debbie Sterling to research the gender gap in STEM-related fields. Her research became the launching pad for GoldieBox, a construction toy and book line that speaks to girls’ storytelling and spatial skills. Founder Karissa Bodnar launched the “beauty with purpose” line after she lost a close friend to cancer. For every product purchased, Thrive Causemetics donates to partner organizations that help women of all backgrounds including homeless women, women with cancer, survivors of domestic violence, and more. Plus, the beauty line creates vegan and 100 percent cruelty-free formulas in the Thrive Lab, which is based in Los Angeles. TULA was founded by Dr. Roshini Raj, a board-certified practicing gastroenterologist at New York University. She co-founded the skin care brand with the goal of giving other women products that make them look and feel balanced and beautiful. “With so many responsibilities, we often neglect our own health, both inside and out. That’s why I co-founded TULA,” says Raj. Maya Brenner founded her impressive jewelry line in 1998, and it’s grown immensely since. Her signature minimalistic yet modern aesthetic is perfect for women of all tastes and her dainty pieces are nothing short of gorgeous. The clothing and accessories brand was co-founded by Melanie Bolin and Lina Dickinson with the hopes of creating a brand that embodies utility, tranquility, and simplicity – mindful products and minimal packaging are central to the brand’s development process. Plus, all of the products are tagged with words of wisdom that are carefully crafted to uplift you when you need it. With female-founded companies comes insightful advice and inspiring stories. Here’s how 23 lady bosses stay confident and push through adversity.